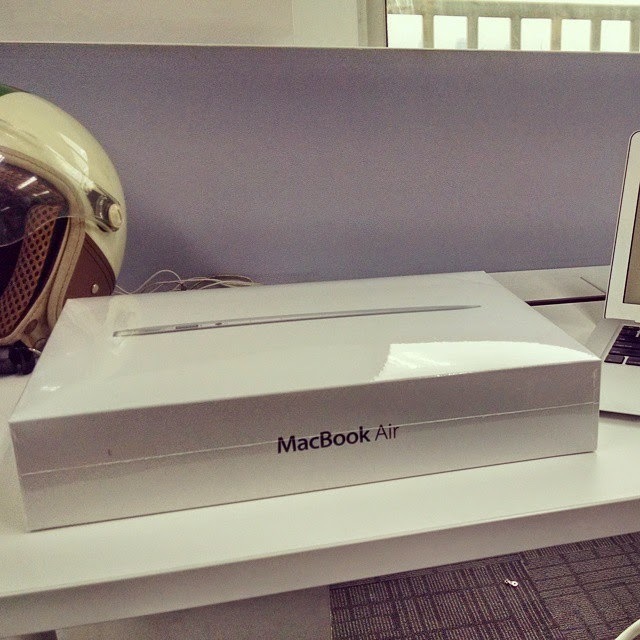 I got a new MacBook air at the new company I work at. Unlike my previous MacBook air, this one only runs i5, 4GB Memory and 128 SSD which means I have to preserve a lot of space to have a nice coding rig. I have to be able to code android and iOS on this one. Plus, I should be able to hack stuffs on it for my personal fun as well. I need to reserve around 9GB for XCode, 7 GB for Android Studio + SDK and around 20 GB for basic OSX stuffs. Plus I have to reserve the iWork and iLife stuff since this is a company laptop and someone else who's gonna use it later after me. I'm a big fan of music and movies, and the space limits it. So how do I deal with it? Use the cloud. I put all my old codes in a private git repo. I stream all my music using deezer and put all my favorite movies on my Google Drive account. Now I can still have it while I run on a minimal setup. As a comparison, now I have 83.59GB of free space out of 128GB on the new machine compared to around 60GB of free space out of 256GB on my old machine. Another thing that I am currently trying is to minimize distractions. I don't have any social media app installed on my coding rig other than Slack, which is the company's official app. No Skype, no Twitter, none whatsoever even on my browser. I use all of it on my phone, which I randomly check. I can focus more because of that. Try out a minimal setup, you'll be surprised at how it increases your productivity.